With so many restaurants clamoring for attention, what is it that makes people want to visit the same eatery time and time again? As it turns out, the key to retaining customers is not just churning out good food but also seeing to more than a dozen other aspects of the restaurant experience that are nothing short of crucial. There’s a reason Cheers was a bar filled with regulars—it had a reputation for being a place where everybody knows your name. Guests love to feel appreciated. 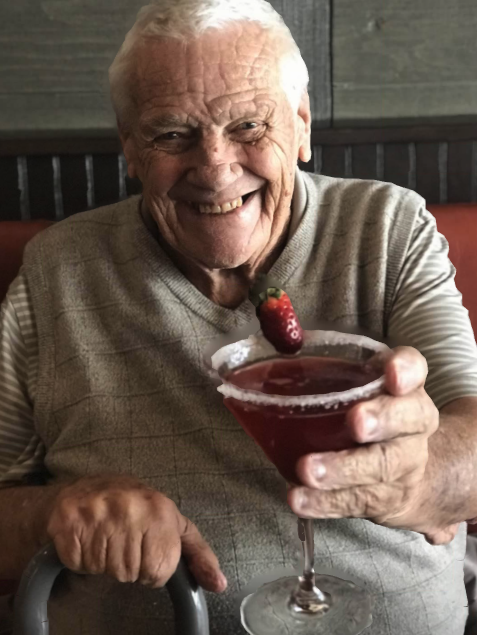 Building a rapport can be as simple as remembering someone’s name or as involved as putting a note in the reservation system that Mr. Smith only likes table 22 and wants a highball glass for his room temperature water. A sprinkling of herbs on top of a piping hot bowl of frutti di mare. Silverware laid out perfectly to align with a crisp white napkin. A Christmas tree trimmed with woodland ornaments echoing the natural surroundings outside. Double espresso martinis top with not one, not four, but exactly three coffee beans. High-quality printed menus rather than torn disposable ones. The food and beverage industry is built on details, and ignoring the small things is a recipe for disaster. Those tiny elements often dismissed as inconsequential create consistency from visit to visit. They make simple dishes feel special and they make guests feel special too. People have a lot of options when deciding where they want to eat. To stay competitive, restaurants need to dream up new ways to draw diners in. Pictures with Santa might not immediately seem like a great way to fill your reservation book, but every magical photo is a memory, and those memories are linked to your establishment forever. A New Year’s Eve bash isn’t just a great way to pack the house on one of the most profitable days of the year, it’s also a suggestive marketing move that reminds attendees that your venue is perfect for other champagne-worthy events like a proposal or anniversary dinner. Special events are also a smart way to promote group dining and buyouts. Seeing large spaces set up for service is far more effective than a brochure. Another idea: partner with talented locals to host a gallery opening or open-mic night. They’ll introduce your restaurant to a different crowd, you’re giving deserving artists a platform, and your guests have yet another reason to stop by. Eating out isn’t just lunch or dinner, it’s also a show. When you’re spending your hard-earned money on a Mohican tomahawk chop or perfectly seared scallops, you want more than a tasty meal, you want all the bells and whistles, too. Servers who anticipate your needs before you even express them, a clean fork that magically shows up mere seconds after you dropped the original one, dirty dishes cleared without so much as a single bumped chair—all are signs of a skilled staff and an expertly run restaurant. Managers yelling at busboys and servers complaining about the chef’s attitude are not. Why should dinner get all the love? Lunch is an ideal time to introduce hungry diners to new menu ideas that may be a little outside the box; expectations aren’t as high, portions are smaller and you’re less likely to encounter a high-stakes reservation such as an anniversary or birthday when the guests are more reluctant to take a culinary risk. As a diner, lunch specials present an opportunity to expand your horizons and try something new. Sure, you may be committed to eating that chicken caesar salad every single day, but don’t the coconut shrimp and mini veggie spring rolls with sweet chili sauce sound amazing? What makes your restaurant different? Is it your connection to local purveyors? Your chef’s penchant for classic recipes with a tasty twist? Or maybe it’s the view? Broadcast whatever it is that makes you special and you’re giving guests a reason to choose you over the competition. When guests talk, be sure there’s always someone listening. Whether it’s a diner giving feedback in the middle of a meal, someone calling in during the week to talk about a prior experience, a comment on social media, or a review on sites like Yelp or TripAdvisor, every compliment or bit of constructive criticism is an opportunity to gather intel, make consumers feel appreciated, and further boost patronage. For instance, if you post a picture of steamed mussels and someone comments that the serving size is skimpy, you can clarify that the hungry cameraman had already eaten half and now onlookers know your portions are anything but stingy. That costs you nothing but a few minutes out of your day, and the rewards are potentially monstrous. Eating out as a family can be tricky. It can also be expensive. Restaurants that offer kid-friendly menus and relevant discounts set themselves up as a welcoming spot for diners of all ages. That’s how you encourage loyalty not just today but across generations. Nobody likes bland food and boring businesses are just as icky. Don’t be afraid to adopt a brand voice (make sure it’s authentic, of course) and then let it infuse everything you do. From simple social media comments sure to induce a laugh to bits of décor that speak to the building’s history or the owner’s backstory, personal touches help guests feel connected. “Come and get a drink – it’s Wednesday!” isn’t the most moving reason to get off your couch and go to your neighborhood bar, but a reminder that’s Prohibition Repeal Day might just be interesting enough to make you put on pants and head out for a cocktail (or two). Some restaurants do huge fundraising drives while others offer active-duty military and veterans a free meal on Veteran’s Day. While these gestures should never be motivated purely by financial gain, it’s okay to recognize that supporting your neighbors increases your standing within the community, and that means less empty seats. Brands often worry about alienating customers by appearing too trendy, but there is a time and a place for trends, especially if you use them wisely. Take Facebook’s new 3D photos, for instance. What at first comes across as a gimmick with limited real-world utility is actually a brilliant way to bring your restaurant to life. It’s a short leap from making people feel like they’re almost at your restaurant to making people feel like they have to be at your restaurant. Word of mouth is powerful in the hospitality industry. People love to share their foodie finds with friends, which is one reason two-for-one specials and gift cards are so popular. Talk up your holiday gift card promotion and suddenly customers are coming in to pick up a few presents and staying for dinner and drinks. Hopefully, they also bring someone new to your establish, and suddenly your reach has expanded yet again. Employees who feel respected and even cherished are more invested in their employer’s success. When servers are disillusioned, they check out mentally and service suffers. When cooks feel underappreciated, it’s harder to work up any enthusiasm over the catch of the day. On the other hand, a bartender whose boss continually praises his mixology skills may be motivated enough to come up with a weekly signature drink and draw crowds eager to try it. Make your staff feel good and they’ll do the same for your guests. Above all, be thankful for ever diner who walks into your restaurant and enjoys what you have on offer. Listen to their stories, take their pictures, celebrate their big moments, and be there to put a smile on their faces with a joke or a free order of fries when they have a bad day. Say thank you and say it often. Looking for a restaurant in the Berkshires that knows how to treat its guests? 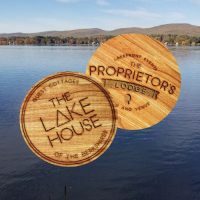 The Proprietor’s Lodge takes hospitality to exciting new levels with an impressive combination of customer service and delicious food. For reservations or to book an event, call us today at (413) 344-9546.